Security camera lens are a necessity in order for the camera to work properly. 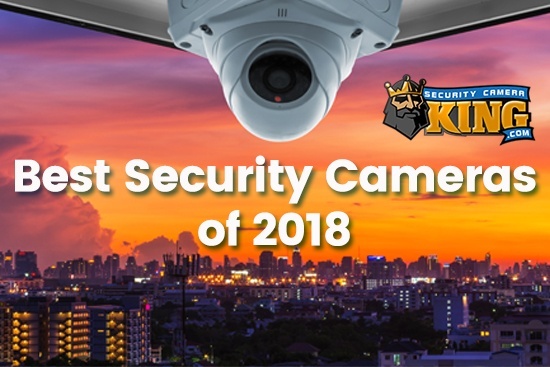 It's the security camera lens' responsibility to gather the light reflected by the objects in the field of view and focus it unto a very small sensor chip (1/4 or 1/3 square inches, usually). Working with such small surface areas to focus and entire field of view on, it's easy to see why the lenses must be high quality glass or other material. 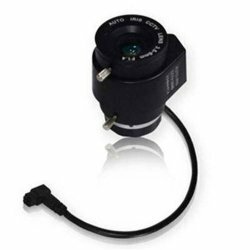 Security camera lens are a necessity in order for the camera to work properly. 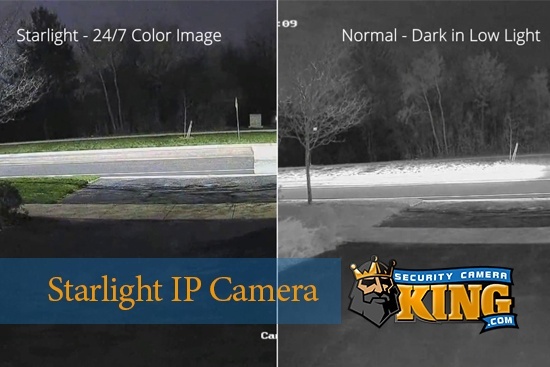 It’s the security camera lens’ responsibility to gather the light reflected by the objects in the field of view and focus it unto a very small sensor chip (1/4 or 1/3 square inches, usually). Working with such small surface areas to focus and entire field of view on, it’s easy to see why the lenses must be high quality glass or other material. There are two types of lenses based on how they move: fixed or varifocal. Fixed lenses are exactly like the name suggests; they do not move because they are “fixed” in place. Varifocal lenses on the other hand do move. The movement of a varifocal lens yields a condition much like a telephoto lens on any camera. Some varifocal lenses are manual (you have to move the lens by hand), some can be controlled by their corresponding Digital Video Recorder or DVR, and some are automatic. Most bullet and dome cameras have their lenses built right into the camera. This is often referred to as a “board lens” because it is pre-mounted on the electronic circuit board during manufacture. Box cameras however, seldom ever come with a lens and require that you purchase one to suit your needs. For that reason, before we go any further, let’s talk a little bit about the characteristics of a security camera lens for a box camera. 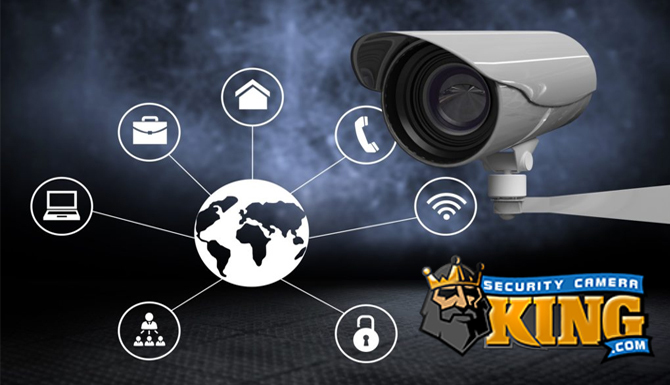 There about five factors concerning security camera lenses that you should be aware of before making a purchase. The first is something called the focal length. The focal length of a lens is what changes how the lens displays it field of view; either a wide angle view or a narrow angle of view. The lower the number of the focal length the wider the view for the video image. Conversely, the higher the number of the focal length, the narrower the view for the video image. The focal length is usually expressed in terms of millimeters (mm) such as 3mm or 14 mm. If the lens is a varifocal lens it will normally state the focal length in terms of a range such as 3 – 14mm. The next characteristic is called the depth of field. The depth of field represents how far from the camera that objects are in focus. Generally, the smaller the aperture opening, the greater depth of view. This is true for photographic (film) cameras too. In order to get a picture where objects up close and objects far away are both in focus in the same picture, a very high setting on the aperture is required (the higher the aperture setting the smaller the hole). On a 35mm film camera for example, the higher the F stop, the greater depth of view. The lower the F stop only objects at a certain distance are in clear focus. Speaking of F stops, and “focusing” (pun intended) our attention on digital video cameras, the security camera lens often comes with an F stop rating. Not to be confused with the F stops just mentioned previously, the F stop of the lens indicates how much of the light passing through the lens is absorbed by the lens itself. A lens with a high F stop will require a greater amount of light to produce the same picture as a low F stop lens. Finally, the iris requires some consideration. The iris is the mechanism that actually makes the hole (smaller or larger) that we spoke of earlier. This can be manual or automatic. Usually when lighting conditions change frequently it’s a good idea to get a auto-iris lens. On the other hand, if the camera is indoors and there is much change in lighting condition, a manual iris will do just fine. This should give you some good knowledge to make your purchase of a lens. If you have any further questions, contact one of our security experts either via Live Chat or telephone.